Hi! I am not at all sure where to post this, so I apologize if I've selected the wrong board. Having been going through several large "coffee table" books about Imperial Russia, I have run across about five photos from the 1903 Ball at the Winter Palace. One of the books that I had stated that over 400 people were invited. Another mentions that there were photo albums dedicated to the Ball itself. Does anyone know if the guest list survived? Also, is there a way to see the photos taken there, other than the same four or five that seem to be commonly repeated? I would LOVE to see more of the costumes, and it would be quite intriguing to know who was actually there. Was it only Royalty? Or were there friends, too? Also, is there a way to see the photos taken there, other than the same four or five that seem to be commonly repeated? I would LOVE to see more of the costumes, and it would be quite intriguing to know who was actually there. Исторический бал 1903 года: https://fotki.yandex.ru/users/hor-j/album/110056/? 10 pages of photos. Thank you SO much! Those photos are great! I have just looked through the first page and will have to go through all the rest. Such beautiful costumes. The book looks fabulous. How cool that it even includes the seating at dinner. I wish that I could see that book! I can't find the complete guest list, but as it was a court ball all members of the Imperial Family and all members members of the court / the uppermost court ranks in the Table of Ranks with spouses would have been invited, i presume. 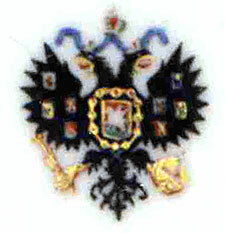 Search for "Костюмированный бал 1903 года" on Google Images and you will get even more. NB I think only 200 of the 390 participants had their individual picture taken. Thank you SO much! Those links are fabulous and just what I was looking for. I could not get that to come up through Google searches. All of those costumes are amazing. I cannot imagine how colorful they must all have been, but I think that there is something almost more exciting about them in black and white. It leaves more room for the imagination. Thanks! vee are, how you say, Norvegians! While in Russia this past September, I found a guy who was selling the Costume book. As a former bookstore owner, he has about 30 copies left of this book and he wants to get rid of them. If any of you are still interested in owning this, let me know, I have all his contact info. He's located in St. Petersburg. 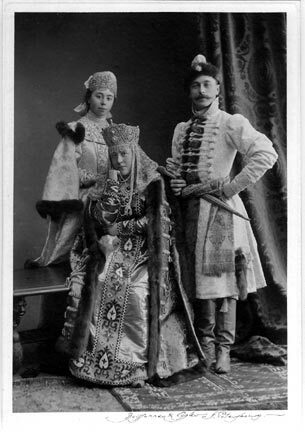 Also, here is an original Boissonas & Eggler photo from our private collection of Prince Cheremetiev and his wife and daughter taken at the Ball. Just an FYI--for those interested in the 1903 ball costumes, the costume of Admiral Volkov will be on display in Hillwood's "Konstantin Makovsky: the Tsar's Painter" exhibition in February! I am very glad they are building baroque facades where they belong. It is also generating needed work for artisans and artists.